A grant deed and a deed of trust are legal instruments that may sound similar, but are not in any way the same. Brush up on your legalese by learning the differences between the two. A grant deed is a written agreement between individuals or entities which pertains to the sale or transfer of the equitable ownership of real property from one individual or entity to another individual or entity. The party who owns the property being transferred is called the grantor. The document must be duly signed by the grantor. The legal document is then notarized and marked with a seal to show that it is properly acknowledged and signed. This is to prove the legality of the document with the authenticity of the grantor’s signature. It includes statements of conditions under which the property can legally be acquired, and can be owned by the borrower without any complications. In a grant deed, it is the grantor’s legal responsibility to guarantee the grantee that the property is not being paid for by another person, and/or the house is free from any irregularities such as hidden tax liabilities, unstated flaws and others. It serves as a proof to the grantee that the property is not being claimed by other parties, nor are there unpaid taxes due that would restrict the sale or transfer of said property. In the US, a deed of trust (i.e. 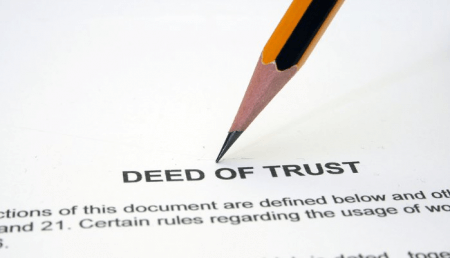 trust deed) is a legal instrument which transfers the legal title of real property to a person or an entity, called the trustee. The trustee holds the legal title as security for a debt initiated between a borrower (trustor) and a lender (beneficiary). Although the trustee holds the legal title to the property, the borrower still has the legal right to the property. The deed of trust serves as an assurance that any breach in the terms and the process of the borrower paying for the property can possibly revoke (or relinquish) the right of the borrower to successfully own that real estate. In this deed, the property in collateral would be the very property that is being paid for. It assures that the payments made by the buyer would automatically be transferred to the lender, or in the instance that the buyer cannot pay the dues any longer, a stipulated amount of interest would be owed. So, what is the difference between a grant deed and a deed of trust? 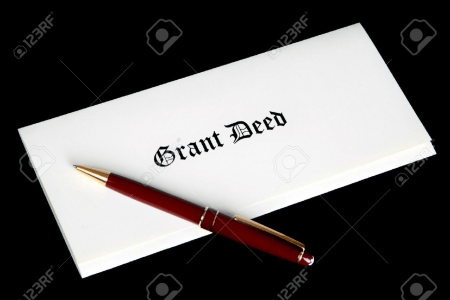 A grant deed is a legal instrument that is created to transfer the ownership of real property from grantor to grantee. It is given to a real estate buyer from the seller as an assurance that the property in question is not owned by anyone else, free from hidden liabilities, and in an agreed upon state. A deed of trust, on the other hand, is used in several states to secure real property put forth as collateral to a loan. It legally transfers the title to the real property to a trustee (lender) until the borrower (trustor) pays off the loan in full. A grant deed is executed by the grantor to make the transfer legal, while a trust deed involves a lender (beneficiary) who lends money to the trustor (borrower). The funds are given by the trustor to the seller, who in turn initiates a grant deed, giving the property to the borrower.